John D. Loudermilk (born March 31, 1934 in Durham, North Carolina) is an American singer and songwriter. Loudermilk recorded some of his songs, including "Sittin' in the Balcony", under the stage name Johnny Dee, and had a hit in his own name with "Language of Love" in 1962, but it was as a songwriter that he made his mark. Working out of country music capital Nashville, Tennessee, John D. Loudermilk became one of the most productive songwriters of the 1960s and 1970s. Loudermilk recorded some of his songs, including "Sittin' in the Balcony", under the stage name Johnny Dee, and had a hit in his own name with "Language of Love" in 1962, but it was as a songwriter that he made his mark. 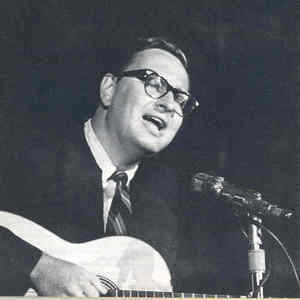 Working out of country music capital Nashville, Tennessee, John D. Loudermilk became one of the most productive songwriters of the 1960s and 1970s. His best known songs are: Tobacco Road, Indian Reservation, Turn Me On, Then You Can Tell Me Goodbye, Norman, Sad Movies, Ebony Eyes, This Little Bird.